Previous How do you treat Dry Eye Syndrome? Next How do you know you have Dry Eyes? Unfortunately there are a number of things that can cause dry eye. We wish it was a simple answer which would allow for a simple solution but it’s not that easy. The most common cause of DES is birthdays. After the age of 50, the number of people with dry eyes explodes, especially in women. Since women go through the “change of life”, all of the hormonal changes in the body cause an inflammatory response on the eye surface. Inflammation is a natural part of aging. We wake up and parts of our bodies hurt that we swear we haven’t used in years! The eyes are no different. As we age, disease such as arthritis, thyroid disease and others become more prevalent all of which contribute to dry eyes. Numerous medications cause problems with certain parts of the tear film leading to dry eyes. Anatomic changes of the face and eyelids can cause improper lid closure and exposure which leads to dry eyes. The list goes on and on…. It is important to identify anything that can be associated with dry eyes as it will help dictate treatment. Certain surgeries can cause dry eye especially any surgery to the eye. We always see a bump in dry eyes after cataract surgery and LASIK. Other eye surgeries such as glaucoma surgery can also cause a worsening of dry eyes. 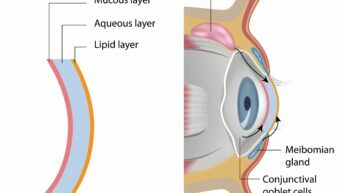 The inflammation associated with the healing of cataract and glaucoma surgery is thought to worsen the inflammation that is causing dry eyes. 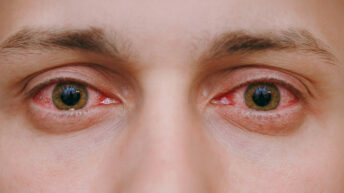 Usually after the eyes have healed, the dry eye symptoms return to baseline or normal to what they were before surgery. LASIK causes dry eyes because there is a flap created on the surface which is effectively cutting through the nerve endings responsible for reflex tearing. It generally takes about 3 months for those nerve ending to regenerate so during that time period, there is a decrease in overall tear film production. After the 3 months, the eyes return to normal. Sometimes, there is chronic persistent dry eye.